Since Google popularised the mesh networking sub-category, pretty much every brand in the space has tried to get in on the action. Only a few years ago, mesh Wi-Fi was an emerging category. Nowadays, it’s seen by many informed consumers as the way to go. Mesh might not fit every mold out there but for many, it just makes sense. The arrival of Chinese brand Tenda to the Australian market suggests we’re now moving beyond this initial gold rush for mesh adoption. We’re now entering a new phase. One where mesh becomes more ubiquitous, and having the right price gives more of an edge than having the right specs. Within that context, Tenda’s angle isn’t a particularly complicated one to grasp. If anything, it does draw easy comparison to Chinese smartphone brands like Oppo and Huawei. Do it cheaper, do it better. The new Tenda Nova MW6 (and the cheaper Nova MW3) Mesh Wi-Fi kits subscribes to this modus operandi with minimal exceptions. Dimensions: 100 x 100 x 100mm per node. Dimensions: 90 x 90 x 90mm per node. As far as looks go, the Tenda Nova series try their best to ape the lifestyle router look. And for the most part, it succeeds. So long as we’re talking about looks and so long as we’re gazing at the cube-shaped nodes from a decent distance. The formula isn’t that complicated here. Each node in the Nova Wi-Fi system is a big, white block. There are some dividing lines on each outward-facing side of the mini-routers, plus some heating vents underneath. However, apart from those details, each Nova node is pretty featureless. This super-basic approach will either work for you, or it won’t. At a distance, each Nova node looks pleasant, modern and inconspicuous enough. They’re not exactly stylish, but they are suitably minimalist and easy to get along with. Unfortunately, up close and to the touch, each Nova node feels like cheap, hollow plastic. Networking’ technologies to ensure the better connectivity as you move between the nodes in your house. In theory and in practice, this works much the same as it does in other mesh Wi-Fi systems with similar features. It’s good to have but not exactly groundbreaking. Both the MW6 and MW3 are dual-band systems, which means they're not capable of the same level of performance as some of the tri-band systems out there. Of course, those are more expensive. As for the differences between the Nova MW6 and Nova MW3, the former supports MU-MIMO and incorporates gigabit ethernet ports, the latter doesn’t. The Nova MW3 is also marginally smaller in form-factor. As per usual, it’s usually better to go with the largest, beefier model but - by all means - choose the size that fits your setup. The MW6 is also designed for larger homes. Tenda claim it’s good to provide coverage of up to approximately 600 square meters - which is about double the 100-300 square meters that the MW3 supports. So if you’re inhabiting a smaller space and don’t need those gigabit ethernet ports, it might make more sense for you. None of this advice is particularly specific to this mesh system, mind you. 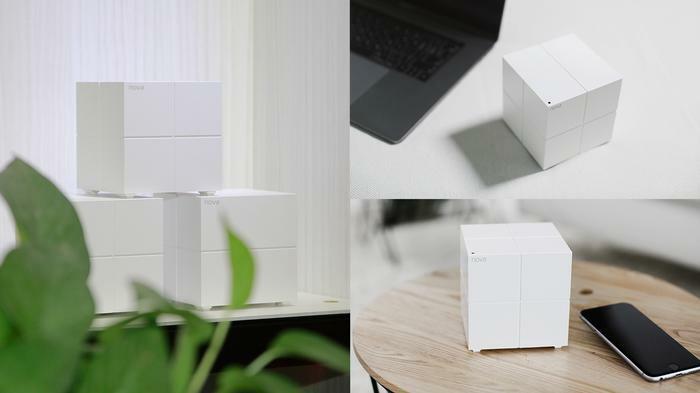 mesh Wi-Fi is more versatile and flexible than traditional whole home Wi-Fi kits are - but they’re not one-size-fits-all. Speaking of setup, we were pleasantly surprised at the simple and intuitive setup process for the Nova system. 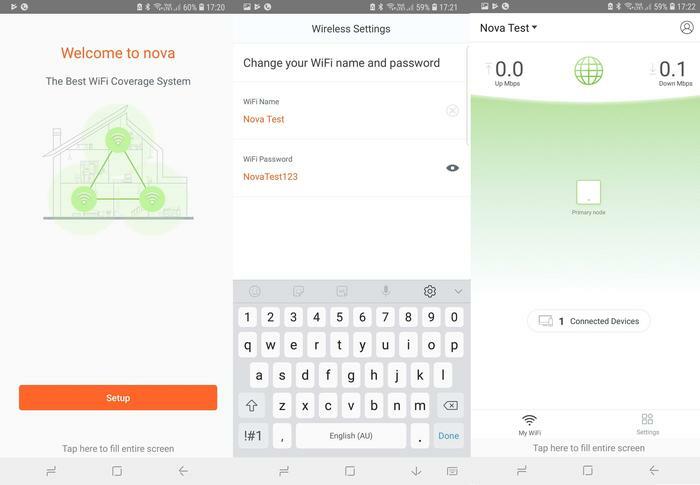 Even if the Tenda Nova App lacks some of the flair and features found in its Linksys and Deco counterparts, it was all fairly straightforward. Once setup is out of the way, you can use the app to monitor and control your home network remotely - which is a potential advantage over some of the other options. Likewise, there are some parental control features built into the app that allow you to group devices according to user and then limit to only accessing the network during certain time periods. It’s nothing as sophisticated - or polished - as the Circle found in Netgear’s Orbi or the Deco app - but it’s similar and if your needs are that rudimentary, it’ll fit the bill. To its credit, I could always get what I needed to done using the Tenda app. That said it wasn’t always as clean or enjoyable of an experience as I’d find elsewhere - which is a disadvantage, albeit one grounded in aesthetics more than practicality. Weirdly though, the app is the only way to set up the Tenda. You can't do it using a normal web browser. It was also odd that the Tenda goes so all-in on giving you remote access by tying your router to their own account system but doesn't give you the option of protecting that account using any form of two-factor authentication. It seems like a security nightmare waiting to happen. Hopefully it's addressed in a software update later down the line. Performance - How Do The Tenda Nova MW6 and MW3 Compare To The Competition? When it came to reliability, I was pleasantly surprised to find that the signal strength of the Tenda MW6 was on-par (or better) than many of the other Mesh Wi-Fi systems I’ve tested during the last year. To be clear, I set nodes for each system up in the exact same locations in my three-story home and measured them using Netgear’s Wi-Fi analytics app. The one thing to note here is the spread of that coverage. The Tenda Nova MW6 supports up to approximately 600 square meters of wireless coverage. TP-Link’s Deco M5 - my current setup - supports about 420 square meters, so the Tenda Nova MW6 is an upgrade over it when it comes to raw square footage - even if the software isn’t quite as robust. The MW3 didn't fare quite as well. But, like I said before, the performance and coverage you get out of any mesh system is going to come down to your environment. Tenda’s promises to do it better and cheaper might resonate with some. However, the appeal is likely going to be limited by how deep into the mesh Wi-Fi space you’ve already invested. If you already own a modern mesh Wi-Fi system, there’s no real reason to look at replacing it with this. The details might differ but the core experience is largely the same and software (and security) involved probably going to be inferior. 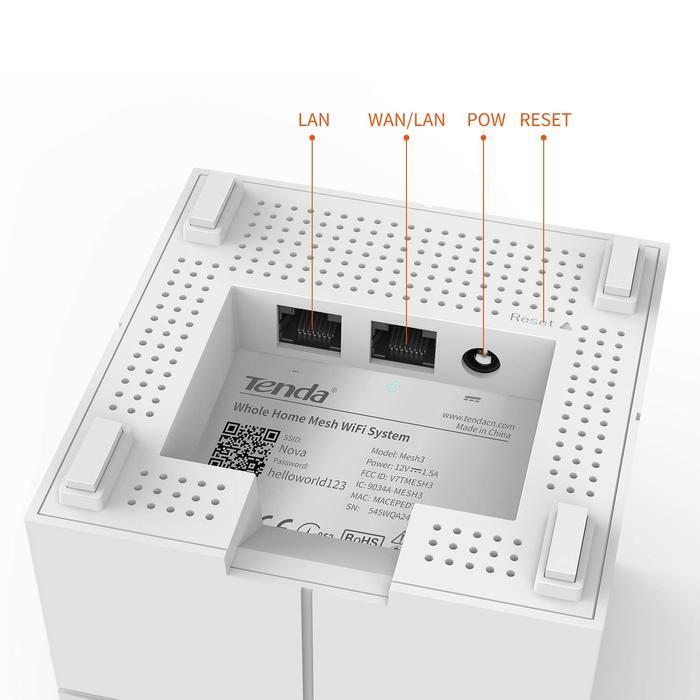 If the possibilities of mesh excite you, and you don’t mind saving a few bucks at a cost to aesthetics and performance, the Tenda Nova Mesh Wi-Fi System might be the gateway drug you’re looking for. However, if you're willing to spend a little more, there's a good chance you'll be able to find a better fit without too much hassle.